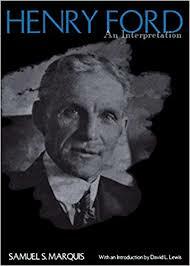 The Characteristics of Henry Ford were genius, ambition, and a drive which set him above ordinary people. Research papers on the characteristics of Henry Ford examine what made him such an outstanding businessman. Your research paper will want to look at which characteristics of Ford and how they helped mold him into a success. Even in his earliest years, Henry Ford exhibited traits, which were characteristic throughout his life and which laid the grounds for his achievements and impact. In the years following the Civil War, the Midwest where Ford grew up was mostly a rural area whose economy was based on agriculture. The need for armaments, transportation, and war supplies of the Civil War had brought about a jump in industrialization in the U. S. But the upper Midwest where Ford was born was largely an agricultural area. Ford’s father made a prosperous living as a farmer. As a young boy growing up, Ford would have been only faintly exposed to the increased industrialization of the U. S. Yet even at this early age, Ford exhibited a dissatisfaction with his given surroundings. He was not antagonist toward it; not did he desire to re-mold it, as a political revolutionary or social reformer might have been. Rather, Ford looked outside of his given circumstances for new opportunities and the chance to pursue his interests which weren't being satisfied. Thus his disinclination for farm work led him to the position as an apprentice machinist when he was only sixteen. Even when he returned to the farm, he pursued this interest in mechanics and engineering to the extent that he could in his circumstances. But it was only a few years later that he left the family farm for good to run the sawmill when he got married. Shortly after that, he left the sawmill for an engineering position with the Edison Illuminating Company where he could experiment with a gasoline-driven, self-propelled vehicle. One of the most noticeable aspects of Ford's life is his drive to always want to go beyond the given circumstances at any point. Unlike an artist or revolutionary, for example, he is driven not by inner torments or an otherworldly vision, but the desire to pursue and development his interest in mechanics and engineering and create a product which had a practical place in the everyday life of individuals. This drive continued even after he founded the Ford Motor Company. Growth of the company, improvements in the production of its cars, and the appeal and usefulness of its cars for the public were the main factors driving Ford to continually try to carry the business he founded to new levels. But at the core of this were the personal qualities of his interest in mechanics, his expertise and imagination as an engineer, his practical bent, and his wish to provide a product the public would respond to. While Ford had a genius, ambition, and drive which set him above ordinary people, these characteristics did not put him out of touch with them. Although Ford became one of the world’s leading industrialists, the characteristics he demonstrated in doing this were ones regarded as important in surviving and eventually thriving on the frontier. In the 1920s when Ford was building his factory complex at Rouge River, the frontier spirit and the drives and hopes of the pioneer pushing westward remained potent images in the American psyche. Ford exemplified in a larger-than-life way the independence, determination, self-confidence, work ethic, and optimism Americans admired and believed were the reasons for the settlement and development of the frontier. Ford’s independence, originality, and practicality represented not only individual characteristics important for pioneers who had played such an important role in developing American life, but values associated with the frontier which were also democratic values. On the frontier, "class status meant little, utilitarianism much." Ford exemplified the ethic of hard work his whole life. He did not retire at the age of sixty-five as he could have, but stayed on as president of the company he had founded until he was eighty-two. Like Benjamin Franklin, another esteemed American original, Ford saw practicality and hard labor as evidencing admirable virtues. "Did you ever see dishonest callouses on a man's hands?" Ford would ask. To him, the calloused hands of a man or worn hands of a woman indicated they were honest. Class - Most often class seems to be discussed in reference with income. Family connections can help ensure higher class status by birth. Robber Baron Research Papers go into this concept and describes this term as an individual who exploits capitalism. Industrial Revolution Term Papers will discuss the relation to colonization of third world. Economic Thought research papers discuss the growth of industrialism and the rise of business. The Organic Machine Research Papers discuss a book by Richard White that human history and natural history are intertwined. The division of labor was a hallmark of the rise of industrialism and capitalism, providing lower costs of production. Fascism research papers reveal that fascism is one of the worst “isms” of the modern world. Modernity research papers show that Modernity is a distinct and unique form of social life which characterizes modern societies. Yellow Sky is located in Texas and holds onto elements of the “old west” while slowly moving into the modern era of industrialism. The Roaring Twenties is a term popularly applied to the decade of the 1920s, characterized by jazz music, speakeasies, flappers, Tin Lizzies, and good times. Paper Masters writes custom research papers on Characteristics of Henry Ford Research Papers on leadership for Business and MBA students.